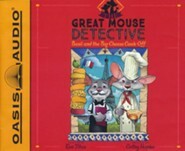 Named one of "13 Detective Book Series You Obsessed Over as a Kid" by Buzzfeed.com and the inspiration for a hit Disney film, the masterful Great Mouse Detective is back and scurrying off to solve the mystery of a Lost Colony in Switzerland. 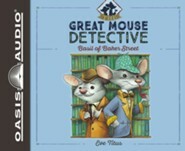 Basil of Baker Street-mouse detective genius-is off on a perilous expedition leading thirty-two mice up a towering mountain. 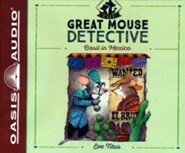 Their objective: to locate and rescue a famous colony of mice that have been missing for six centuries! 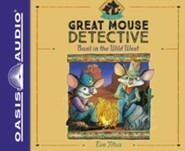 A clue in the form of an arrow with strange markings has sent Basil scurrying off to Switzerland in search of the lost colony. I gasped in horror. Would it be my friend's dreadful fate to perish in the swirling torrent below? "Take car! Take care!" I shouted. 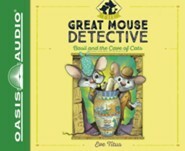 Eve Titus (19052002) wrote many books for children during her long career, including the Basil of Baker Street books and the Anatole series. 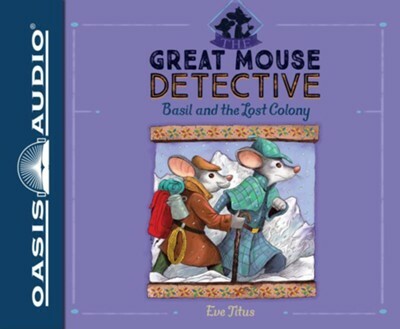 I'm the author/artist and I want to review Basil and the Lost Colony - unabridged audio book on CD.